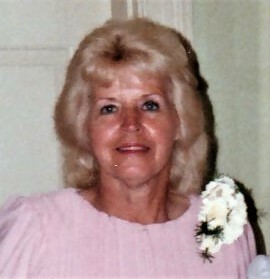 HODSON, Grace Ann, 84, of Mechanicville, VA, went to be with the Lord, Sunday, April 7, 2019. She was preceded in death by her husband, William (Bill) Arthur Hodson, Jr.; son, William (Billy) Arthur Hodson, III; twin sister, Gretchen Henry, and four brothers; Paul Ellifritz, Willard Ellifritz, Dewey Ellifritz, and Don Ellifritz. Grace is survived by four children; Karl Duane Hodson, Sr. (Lisa), Tamela Hodson Pyles (Jeffrey), Darryl Lee Hodson (Terri), Kimberley Hodson Guyton (David), six grandchildren; Lisa Ann Hodson, Kelsey Lynn Hodson, Abigail Leigh Hodson, Karl Duane Hodson, Jr., Davan William Guyton, Brooke Elizabeth Pyles; and three sisters; Hazel Martin (Burl) of Satellite Beach, Florida, Nina Yauger of Morgantown, West Virginia, Betty Cozad of Kingwood, West Virginia. Grace graduated from Shenandoah College in 1955. She retired from Henrico County Police as a Crime Prevention Officer on August 1, 1991 and was a retired Realtor. Grace was a member of Shalom Baptist Church and a former member of Fairmount Baptist Church. Grace was a loving daughter, sister, mother and grandmother, who cherished spending time with her family and friends, and serving in her church. Grace also enjoyed baking, gardening, fishing, camping, and going to yard sales. The family will receive friends from 5 – 8 pm, Wednesday, April 10, at Monaghan Funeral Home, 7300 Creighton Parkway, Mechanicsville, VA. A funeral service will be held at 2 pm, on Thursday, April 11, at Shalom Baptist Church, 8116 Walnut Grove Road, Mechanicsville, VA. Interment will follow at Washington Memorial Park. A reception will be held at Shalom Baptist Church immediately following Interment. In lieu of flowers, contributions can be made to Shalom Baptist Church.